I have an active purchase order that was inadvertently archived in Navision 2016. Is there a way to restore the archived purchase order? Or will a new purchase order need to be created. ​Archiving an order does not automatically delete the original, so I assume you archived and then deleted. Unfortunately, I don't see any way to restore an archive. You can create a new PO and you should be able to copy/paste the lines from the archved PO to the new PO. ​That's exactly what we do when we need to bring back a purchase order that has been archived and deleted. We just give it the same number and put all the information back in. I did find out recently your partner can restore your archive if you accidentally delete it all (more so with such ease you wonder how it was possible to do that). Then you can copy it to use again...however, once it's been moved out of Open Purchase Orders there's no way to bring it back to that stage (or at least none I've ever heard of). I.E. you can restore the archive, but you can't restore the open PO. 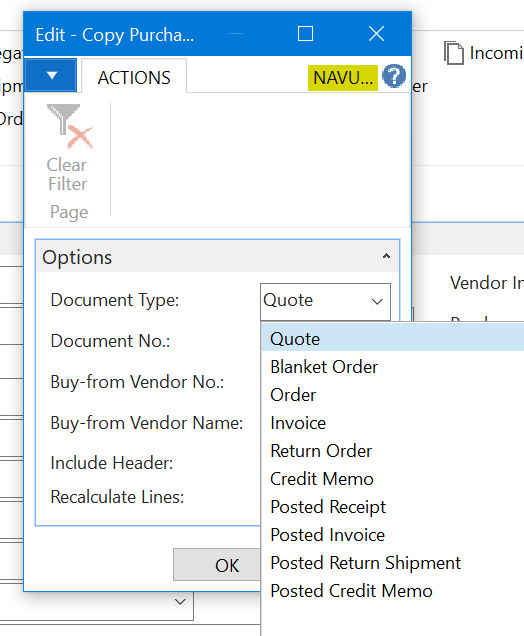 You can Create a new Purchase order and use the Copy Document feature. You can select Document Type = Arch. Order and select the document number from archived order. This will create a new order with the same details as of archived order. 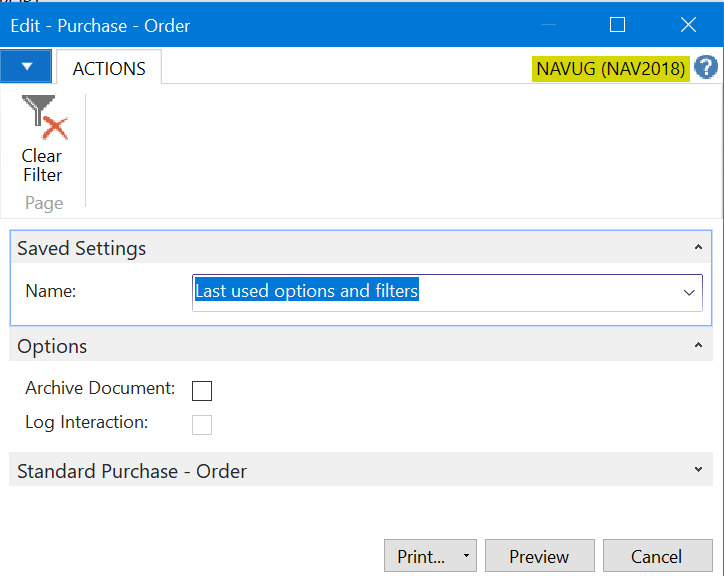 ​@Saurav Dhyani I don't see that as an option in NAV 2018. Sorry, I was looking for it in Business Central on Prem where there are new options added. We use automatic allocation, and I am top understand that functionality blocks reopening an archived purchase order. Our company has always asked the question to why this continues to happen? 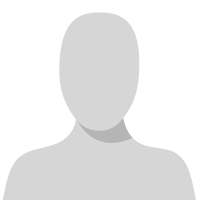 What causes a PO to prematurely become archived before completing the invoice process? 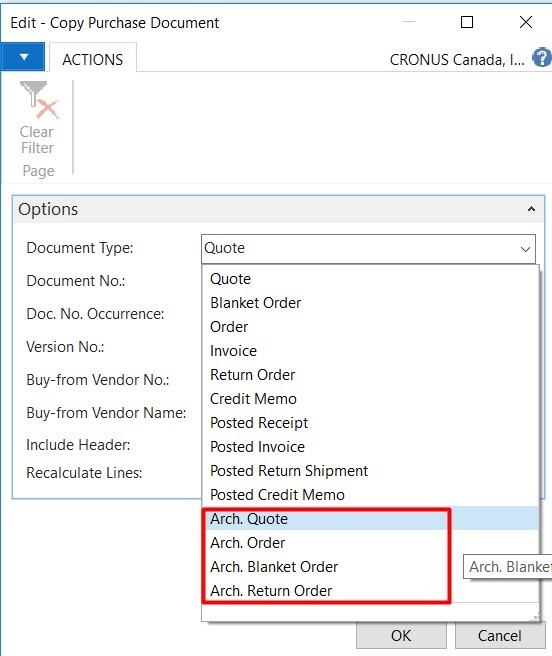 ​A Purchase Order can become archived through the print function (there'a an Archive Document check box on the optopn tab), but that will not delete the uninvoiced purchase order.